The images below are of a few garments I really liked and I felt that they were a great representation of the 50 years of fashion. 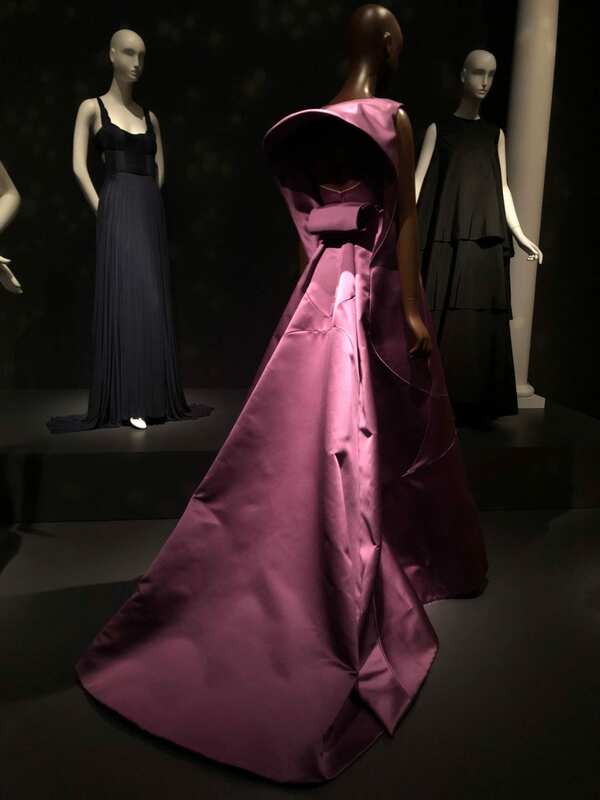 These garments somehow contributed in this exhibition with the help of the types of garments. The way it was made, the use of fabric, the evolution of colours over time and various themes such as freedom, women empowerment and many more being explored through the cuts, shapes and structure of the garment. This exhibition seemed oddly overwhelming to me. It almost felt like there are a lot of garments that may not have necessarily spoken about the history or may have represented the history behind the fashion. 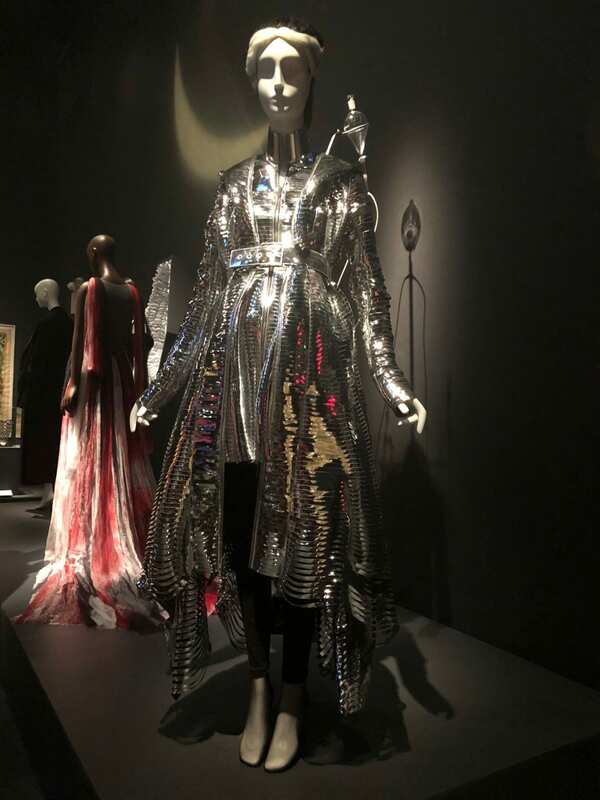 Although, as I mentioned, this exhibition is overwhelming, it consisted of a wide range of products that had a representation of fashion and what happened in the past 50 years in the fashion industry. After last week’s lecture, I was able to differentiate an art and fashion exhibition and how may it differ from each other but at the same time how it may consist of elements from each other. 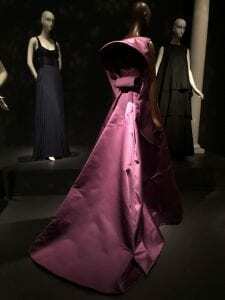 This exhibition inspired me to explore on some topics from the past but it felt a little tedious to walk through a big room without enough details about the designer and the time it was made in.